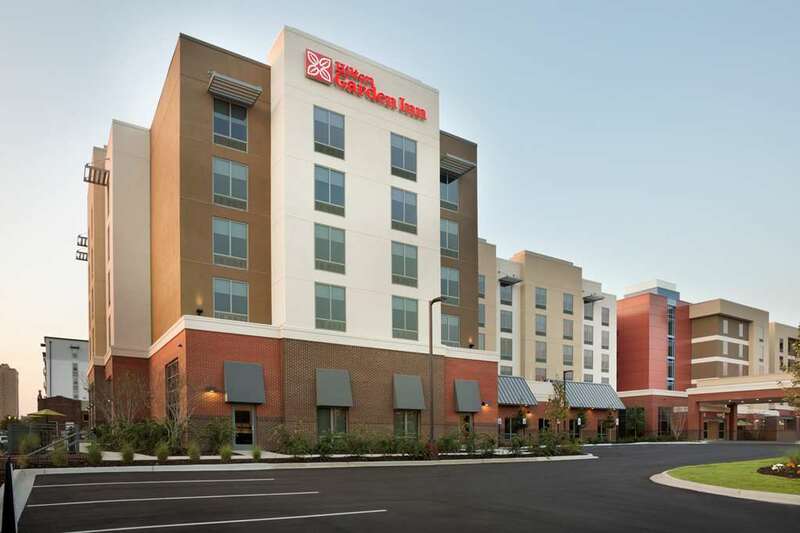 Hilton Garden Inn Birmingham Downtown hotel boasts a premium location in the city*s downtown business district minutes away from Regions Financial Institution and City Hall. The hotel is close to the Birmingham Museum of Art the Civil Rights Museum and the University of Alabama Birmingham basketball arena. A short walk away are some of the finest Birmingham restaurants and shops. Each spacious guest room features an array of thoughtful amenities including complimentary WiFi a Garden Sleep System bed large work desk with ergonomic chair spacious bathroom and a large HDTV. The in-room hospitality center includes a mini-refrigerator microwave and a Keurig coffeemaker. For more space extra amenities and a separate living area select an elegant one or two bedroom suite. Savor a cooked-to-order breakfast in our onsite Garden Grille and Bar. Select from a variety of wines and craft beers taste our small plates or unwind and socialize in the open lobby with plenty of natural light. Enjoy an energetic workout in the fitness room and a refreshing swim in the outdoor pool. With 1 800 sq. ft. of meeting space your events are covered in our Birmingham Al hotel. Reservations must be cancelled 2 days prior to arrival to avoid penalty. Policy is subject to change. One of the biggest Liberty replicas in the world, with a real flame burning in her torch. Adjacent to Boy Scout HQ. One monk's masterpiece, an old quarry filled with miniature versions of the world's most famous buildings. It took him 25 years to build.